The American Helicopter Society (AHS) International—The Vertical Flight Technical Society—announced in an April 2 press release that six University of Maryland (UMD) Aerospace Engineering students received 2015 Vertical Flight Foundation (VFF) scholarship. UMD students represented over 25 percent of this year's VFF scholarship awardees. This year’s awardees will be recognized at the Grand Awards Banquet on Wednesday May 6, 2015 during the 71st Annual AHS Annual Forum and Technology Display at the Virginia Beach Convention Center in Virginia Beach, Va. The VFF was established in 1967 as the philanthropic arm of AHS. Since 1977, the merit-based scholarship program has been a great success story, with more than 400 scholarships awarded to date. Many recipients are now leaders in the vertical flight technical community. 100% of every tax-deductible contribution to VFF goes directly to student scholarships. 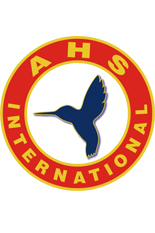 AHS International covers all overhead costs of administration and accounting, and contributes a portion of its revenue to supplementing individual contributions. For more information on the Vertical Flight Foundation, please visit www.vtol.org/vff.